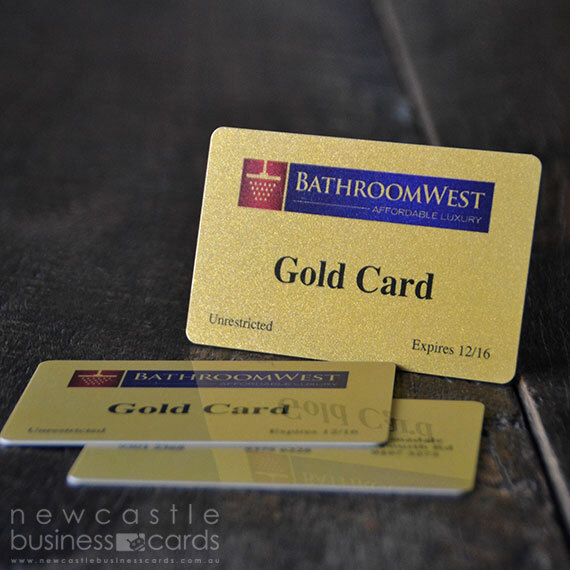 Impress your customers with a stunning metallic plastic cards! 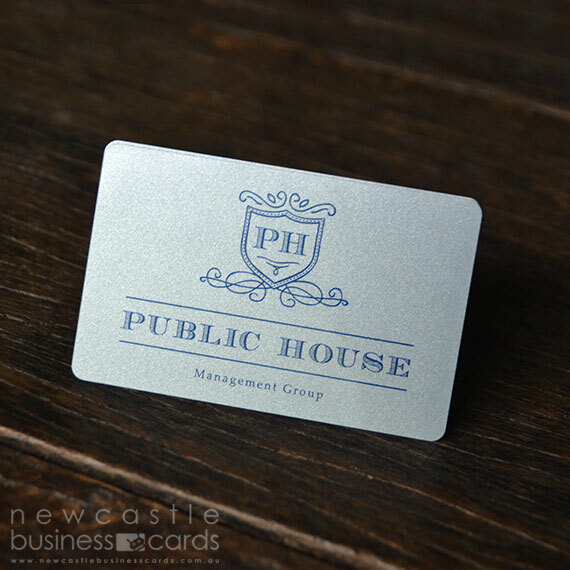 Our metallic plastic business cards are manufactured from the highest quality materials and printed using state of the art print production methods. Available in either shimmering metallic silver or metallic gold. 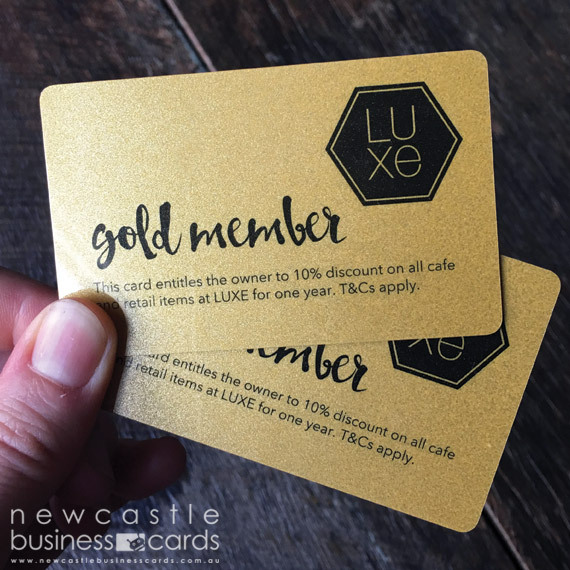 Our metallic plastic cards are printed in CMYK/full colour and your choice of numerous card features including sequential and non-sequential numbering, magnetic strips, barcodes, scratch panels, embossing (raised printing) with gold or silver accents, signature panels, foil stamping and more. 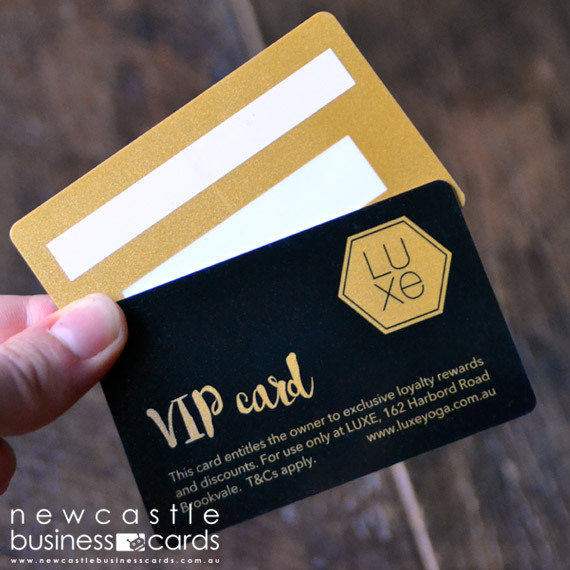 Gold and silver plastic business cards are a popular choice for loyalty and VIP cards, gift cards and sophisticated business cards. Our plastic metallic cards come standard with rounded corners and are available in a sturdy 0.76mm thicknesses (similar to a credit card thickness). HANDY HINT: When designing your metallic card, use darker colours for best results.